The San Miguel Beermen did the unthinkable and rallied back from a 0-3 hole to win the 2015-16 PBA Philippine Cup. But now, that glorious moment can be stored and archived in the past, in the league’s annals. The 41st season of the PBA now advances to the first import-laden conference, the 2016 Commissioner’s Cup. Per league rules, the top eight teams that finished in the elimination round of the recent Philippine Cup are allowed to hire imports with a maximum height of 6’9″, while the four squads at the bottom rung of the standings have no such restrictions in recruiting reinforcements, thus making it possible for them to enlist seven-footers to aid their existing manpower. In the first of a two-part look at this season’s crop of imports, we start with the familiar faces that are coming back for another tour of duty in the PBA. Part two, with the new batch of imports, can be read here. The team’s Philippine Cup campaign may have been an unforgettable one, but the Aces are looking to recover from this ill-fated stint by having a battle-tested veteran of the Commissioner’s Cup banner the squad, likely with another return trip to the Finals in sight. A proven product as he had already been a recipient of the Best Import award three seasons ago, Robert Dozier is back in the red and white jersey of Alaska after a one-year hiatus from the PBA. The former Memphis Tiger’s presence gives the Aces a needed shot in the arm insofar as their interior game is concerned, one that hinged on a rotation of Sonny Thoss, Vic Manuel and Erik Menk in the last conference. During the last time that Dozier strut his wares on the PBA hardwood, he had per game averages of 20.4 markers, 14.2 boards and 2.42 blocks in 12 games played, towing his squad to a quarterfinals finish in 2014. Prior to this return engagement, the 6’9″ power-playing forward spent time with Le Mans Sarthe Basket of the French LNB Pro A, France’s first-tier pro league, where he tallied 11.5 points, 8.2 rebounds and 1.3 blocks in 10 matches. Aside from providing the needed muscle inside, it is worth taking note that Dozier was also part of the last Alaska championship back in 2013. So there lies a relatively good chance that the Aces may finally end their recent string of misfortunes in the playoffs with him in tow, should things fall into place as it was several seasons ago when he first arrived in the PBA. Talk about first impressions. 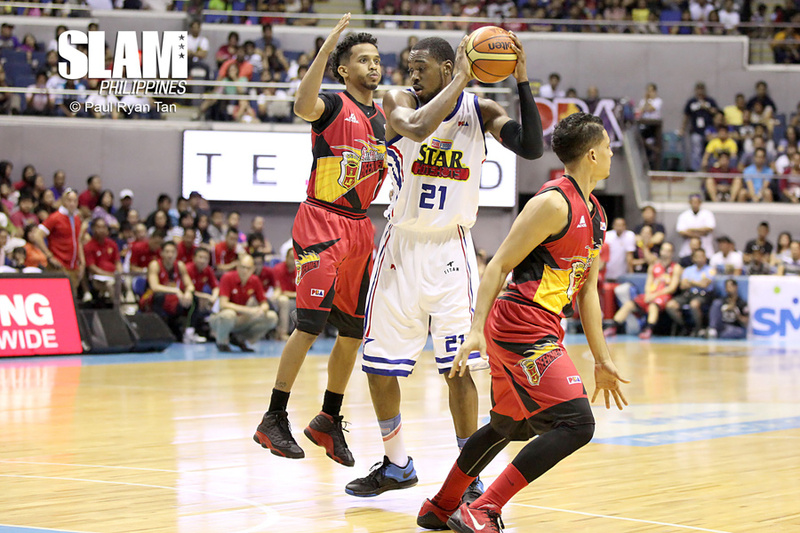 Othyus Jeffers had a rousing debut in the PBA two seasons ago, marked by a 38-point and 13-rebound performance to lead the Talk ‘N Text Tropang Texters to a victory over the Meralco Bolts. However, that proved to be the swingman’s first and last game on Philippine soil in the conference, as legal issues concerning his playing contract with the Minnesota Timberwolves prevented him from continuing his stint with the Tropang Texters. Yet, Jeffers’ one-game bravado was enough to merit attention from Tim Cone and the Barangay Ginebra Kings. Cognizant that the wing position is one of the team’s weaker points, the Gin Kings scooped up the former NBA journeyman in the hopes of complementing the frontline tandem of Greg Slaughter and Japeth Aguilar. A lethal threat on offense as well as on the glass, the 6’5″ Jeffers hauled in a ton of awards in the NBA Developmental League, including being named the NBA D-League MVP in 2014. 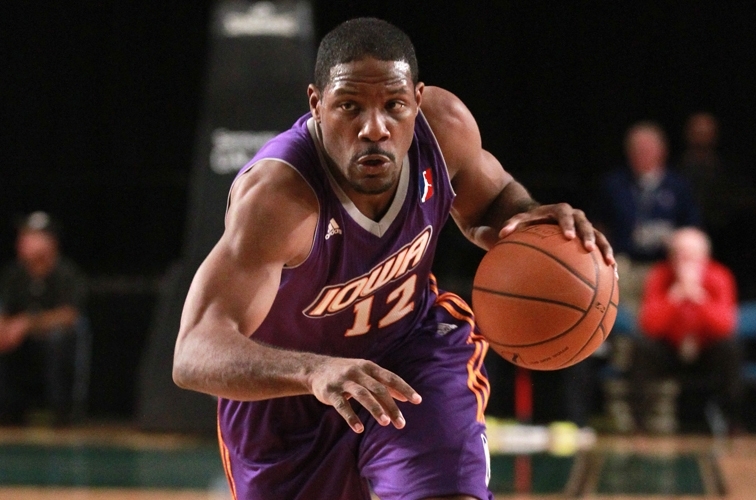 Jeffers was also a three-time D-League All-Star, named to both the All D-League first and second teams, All-Defensive first and third team, and was a Rookie of the Year awardee back in 2009 as well. Interestingly, not only will this be Jeffers’ second foreign assignment, but also his first playing tournament after being sidelined for a year because of a knee injury. How well he immediately adjusts and responds as the conference progresses will augur greatly on how the Barangay Ginebra Kings will fare in Commissioner’s Cup. It’s not everyday that a first rookie team All-NBA member flies in and display his wares on the PBA hardwood, more so for a second time around. 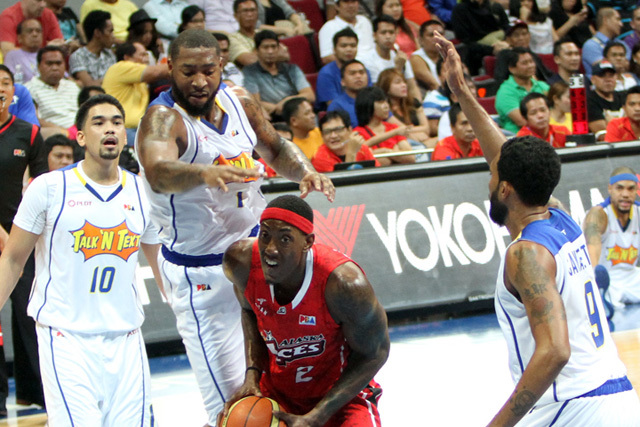 But that’s the case here, as the NLEX Road Warriors have tapped the services once more of Al Thornton. Blessed with a 6’8″ physique that can grit and grind in the paint, while having the speed to sprint up and down the opposite sides, Thornton served as the perfect compliment to a rejuvenated Asi Taulava during the Road Warriors’ 2015 Commissioner’s Cup campaign. Possessing the ability to score in bunches, the former Florida State standout is best remembered for his 50-point, 18-rebound showing, which helped NLEX upend Barangay Ginebra in an elimination round encounter last year. This was after he was held to only two points in the first quarter, before exploding for 48 the rest of the way. With Thornton back in the roster, NLEX head coach Boyet Fernandez will have another option to rely on in the frontcourt after Taulava, Sean Anthony and Enrico Villanueva. A season ago, Thornton had per-game numbers of 30.9 points and 12.5 rebounds for an NLEX team that finished fourth in the standings after the elimination round with a 6-5 slate, and ended the Commissioner’s Cup with a quarterfinal defeat at the hands of the Bolts. It is common knowledge already that Yeng Guiao’s teams are blue collar in essence. It’s what makes his game plans work, hence the reason for enlisting players in that mold. This very reason is also the basis as to why Wayne Chism is back for the third time with the Rain or Shine Elasto Painters. He may not have been the flashiest, athletically gifted stud among the reinforcements who saw action in the PBA, but he knows how to get the job done. A crafty player effective both on the inside and on the perimeter, the 6’9″ former Tennessee Vol’s cerebral ability to read and understand on-court situations is considered a viable asset, especially working for a boss who is similarly capable. Chism is the one who will not force the issue. Rather, he moves around the floor and positions himself for the best opportunity available, whether it’s an easy bucket underneath or a box-out to easily collar the rebound. Such traits have earned Chism the Commissioner’s Cup Best Import award a season ago, in which he averaged 25.8 points, 15.8 boards, 2.7 assists, 1.7 steals and 1.2 blocks while appearing in 17 matches for Rain or Shine. 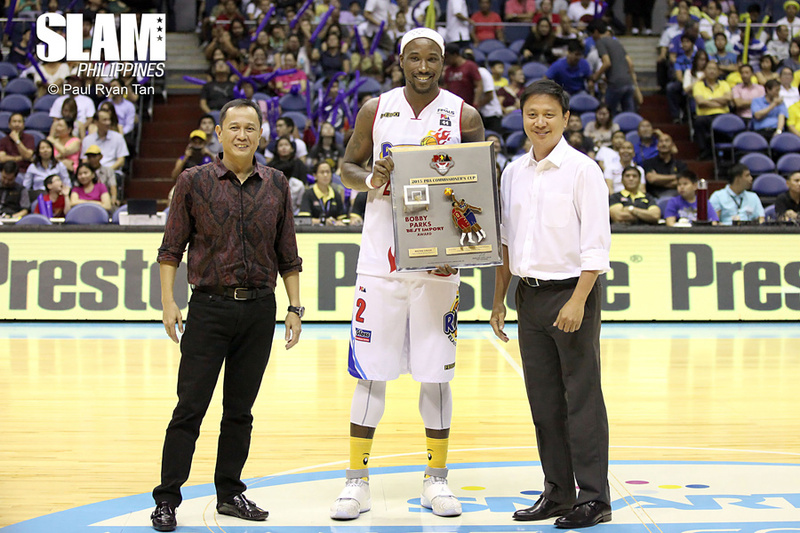 More so, Chism returns to the Philippines with a bit of unfinished business at hand; he fell short in leading the Elasto Painters to the crown after falling to Talk ‘N Text in the Finals. Like the famous phrase, Chism will be looking to winning it all on his third trip to the country. Before reuniting with Rain or Shine, Chism last played in the Israeli league for the Hapoel Gilboa Galil club wherein he had numbers of 9.94 points, 6.9 boards and 1.3 assists in 16 games. Another decorated member in this cast of returnees, Denzel Bowles brings anew his solid inside game in fortifying the ceiling of the Star Hotshots. With the 6’9″ Bowles patrolling the middle, Purefoods has became a constant contender to vie for the crown in this mid-season conference, especially after making waves when he arrived in the PBA back in 2012. It was in the same season wherein Bowles was acknowledged as the Commissioner’s Cup top reinforcement while leading the B-Meg Llamados to the diadem. Considered as the most senior among this cast of returnees as he will be entering his fourth stint in the PBA, Bowles was his usual dominant self during his campaign with the Star Hotshots a year ago. Coming in as a late replacement for former Kenucky Wildcat Daniel Orton, Bowles tallied 32.4 points, 12.3 rebounds, 3.8 assists and 2.8 blocks in 11 games to push Purefoods to a semifinal finish. Now that the Star Hotshots have the benefit of having Bowles at the start of the conference, all eyes are on them to make a deep run come the playoffs. What is interesting to see is how the 26-year-old slotman adapts to the gameplan of coach Jason Webb, after being under the tutelage of Tim Cone ever since he first set foot in the PBA. A veteran of several professional leagues across the globe such as in China and Lithunia, Bowles suited up briefly for the Marinos de Anzoategui of Venezuela’s Liga Profesional de Baloncesto. In the four games that he suited up for the Latin American club, the James Madison product averaged 12.8 points, 8.3 rebounds and 1.3 assists. 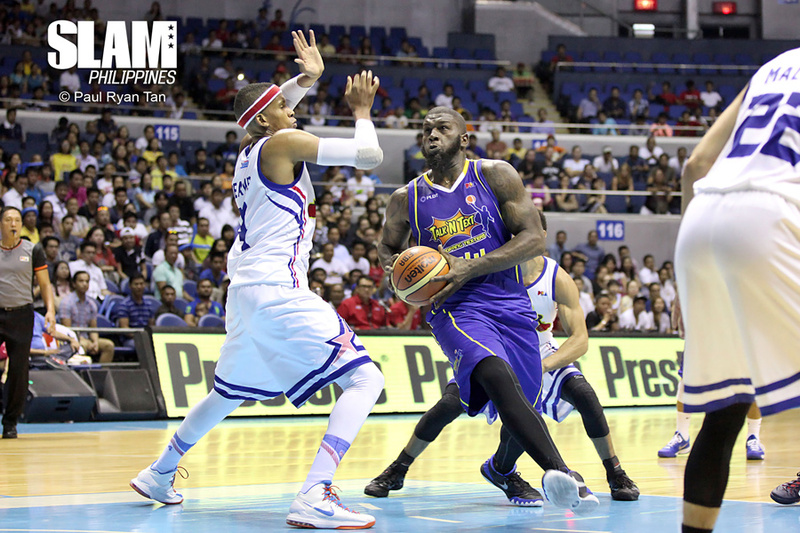 Tapping again the services of a reinforcement who was a key piece in the franchise’s last championship is a definite no-brainer for the Talk ‘N Text Tropang Texters, as they once again acquired Ivan Johnson to help them defend their Commissioner’s Cup crown won a year ago. When he’s not getting into the heads of the opposing side, the 6’8″ former Atlanta Hawk renders a yeoman’s job on the hardwood. 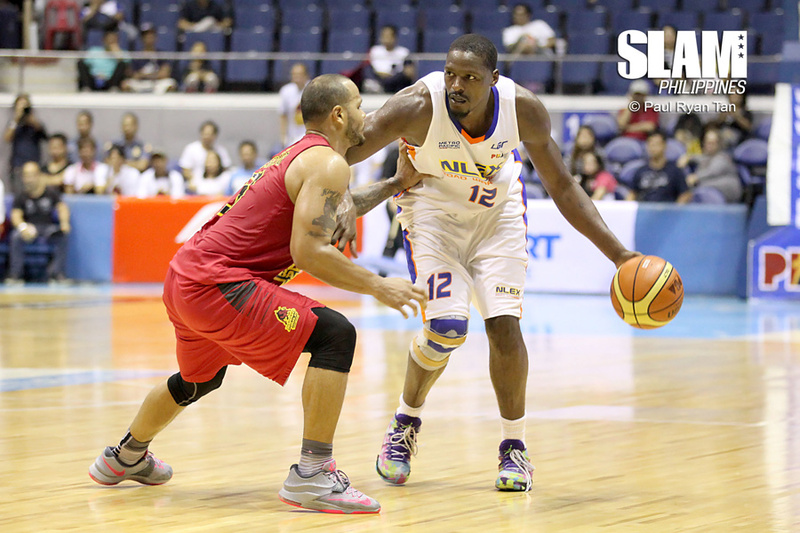 In his initial foray in the PBA, Johnson posted numbers of 26.8 points, 12.8 caroms, 2.5 assists and 1.9 steals per outing. Johnson also bounced around the global basketball scene, as aside from the Philippines he also made stops in China, Puerto Rico, South Korea and Spain. In addition to a successful run in the NBA D-League, Johnson was also part of the 2014-15 Dallas Mavericks summer league squad in Las Vegas, wherein he averaged 7.9 points and 3.9 rebounds in five matches.